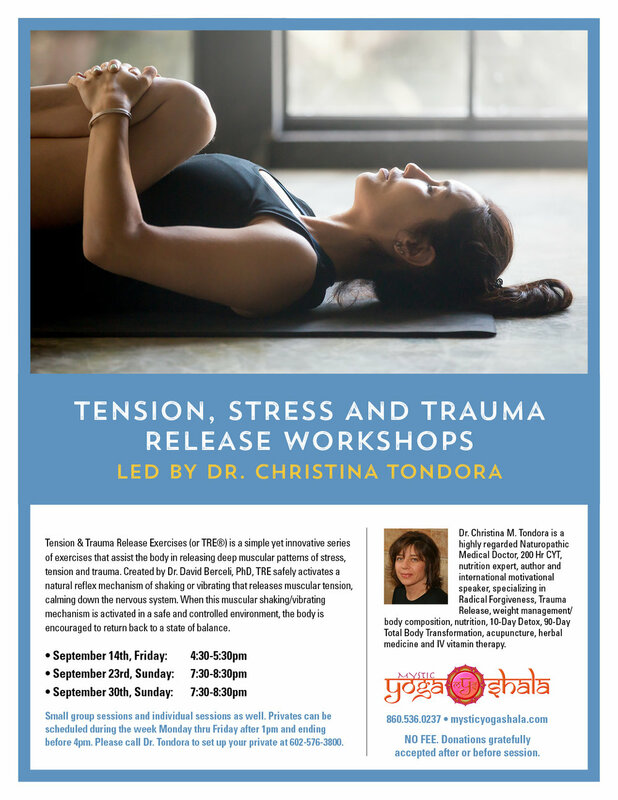 Mystic Yoga Shala is pleased to offer a wide variety of special events to our students and yoga community. Please check back frequently to see our latest offerings. 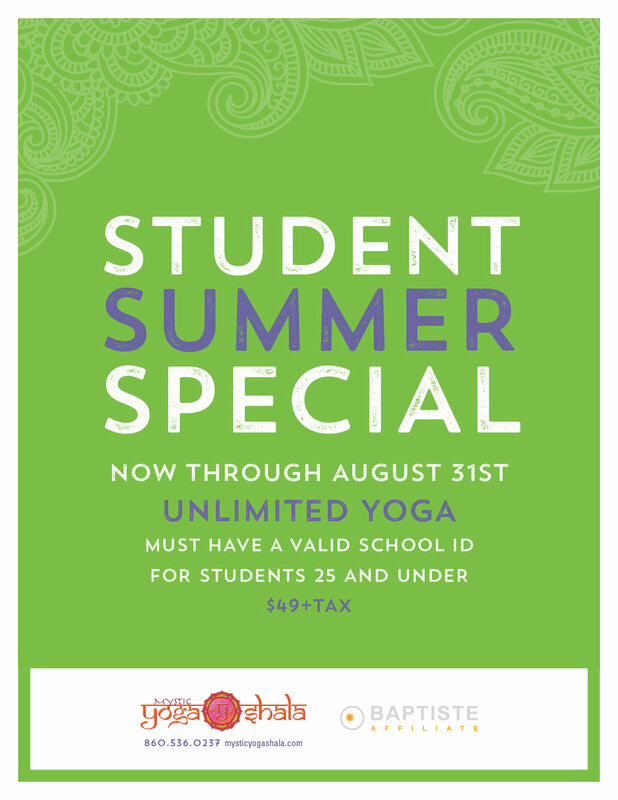 Mystic Yoga Shala is an Official Baptiste Studio located on the shoreline in Mystic, CT. 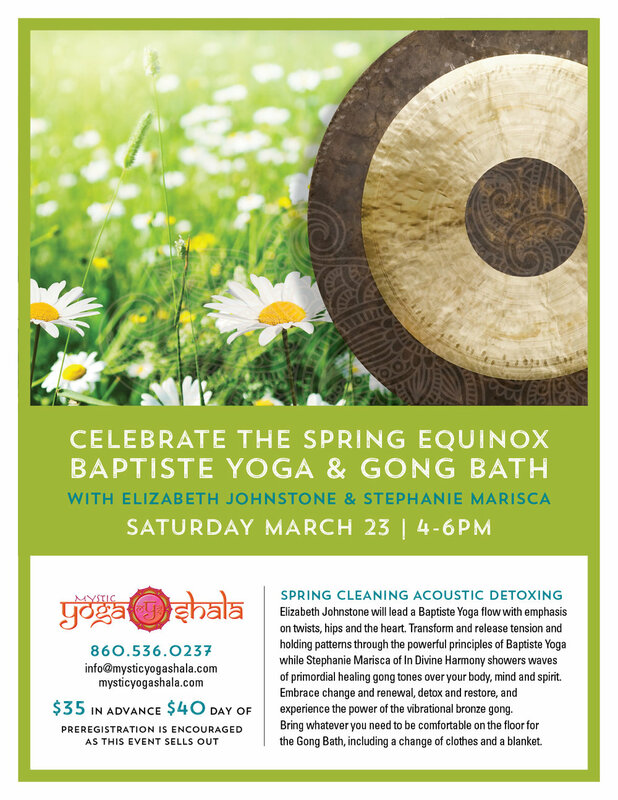 Learn mindfulness with Elizabeth Johnstone. The Koru Mindfulness program was developed over the course of a decade by psychiatrists Holly Rogers, MD & Margaret Maytan, MD to bring the benefits of mindfulness to the college students they worked with at Duke University’s student counseling center. Koru Mindfulness is evidence-based curriculum specifically designed for teaching mindfulness, meditation, and stress management to "emerging" adults. The curriculum consists of 4 – 75 minute sessions, one a week. Koru is appropriate for beginners of any age 15 years and up. $35 for a drop in sessions however participants are encouraged to attend all 4 for the maximum benefit. There will be Chairs for practice as well as meditation cushions if preferred. As chairs are limited, please let us know if you need one and we will provide you with one.